Ben Wiles has organised a training day at SGH on Monday 27th February. It will be focused on EP and sounds like it will be a good day - further details will follow. Please can everyone let their new trusts know as soon as possible to ensure that clinics etc are cancelled. We will be hosting our 3rd Level II cardiac CT Academy in London from February 21-25th 2017. 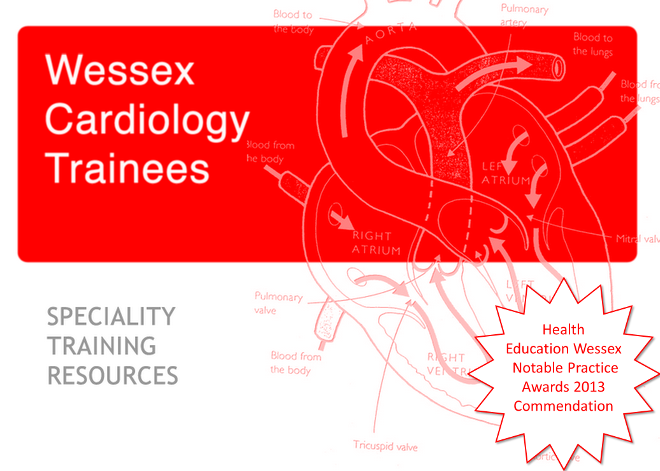 This is a non-profit making course and is available to cardiology and radiology trainees for £1500. This covers all course material, SCCT paperwork, log books and catering throughout the course along with a drinks reception and course dinner. I should be grateful if you could circulate the below link to any colleagues/trainees that may be interested in learning cardiac CT. The course assumes no prior knowledge and each delegate has access to their own workstation and a CT library of in excess of 500 cases. Our webpage and details of how to register is as below. In order to bring our ARCP process in line with the deanery standard there are going to be some changes to the ARCP process this year. There will be an online ARCP (without the trainee present) in June, feedback and further reviews if needed will take place after this. Each of us will also meet with a panel in September to discuss any particular training needs and next years hospital placement. Given that we will not be present at the ARCP it is important that all the relavent information is on the ePortfolio. So the most important part of this message is to remind everyone who rotates hospital in January that they need to get a supervisor report that covers the time between their last one and January. I will keep you updated with further dates to follow. Dr Senthil Kirubakaran, Consultant Electropysiologist at Queen Alexandra Hospital, is hoping to establish a regional EP training programme for the Wessex Deanery. This will be predominantly aimed at those who are sub specialising in EP, but more junior trainees with a particular interest in EP would also be encouraged to attend. Session will start in 2017 and there are likely to be 3 per year, rotating between Portsmouth, Southampton and Bournemouth. All the sessions would be free to attend and would be separate from the core regional training days. One of the first steps in establishing a teaching programme like this is to gauge interest and therefore produce a contact list of potential attendees. The registration has now opened for registration for the EEGC (the new KBA) for all ST5 trainees, it is open until 24th of February and can be accessed via http://www.bcs.com/eegcregistration/default.asp. It costs £400 to register too! More information on the new ARCP format to follow shortly..